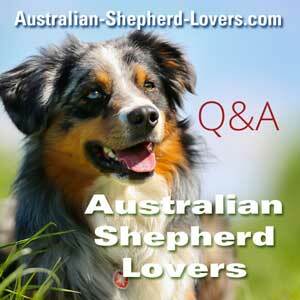 How Dog Australian Shepherds React To Strangers? Hello, I am looking to add an Aussie to our family and had questions about how they react to strangers? I have a friend with an Aussie mix and that dog has bitten like 3 people. Is this common in this breed? I just want to make sure we are making the right decision on this breed. Comments for How Dog Australian Shepherds React To Strangers? I have had two purebred male Aussies, both the first and the present one are friendly well rounded dogs. First one had just puppy class training, this one I am doing dog sports with. They can be great family dogs, very affectionate and loyal to their people, good with kids and other animals. Aussies can be very nippy as pups and young dogs, it is part of their herding behaviour, but it is not aggression per se and can be trained out of them. However, I have also seen on this site people having problems with aggressive behaviour in their Aussies. I would say, do your research, find a responsible breeder (who will support you long term) and put the pup into training classes. My own Aussie, whose name is Ursa, will be 7 years old tomorrow. She is excessively friendly to people and especially loves children. I walk her in our downtown area and some of the regular sidewalk diners and shop owners call her "Smiley" because she does an audacious grin. Your best bet is to meet and observe the parents of any pup you are considering. How the parents act and react is a good predictor of how the pups will be. Our Aussie Bash, is 8 months old. He has been very well socialized to say the least. He goes with me pretty much everywhere I go. He’s very friendly with strangers, except at home. He barks and growls until he knows that they are okay. He just started this about a month ago, and it’s getting better. Making him sit before we open the door brings the excitement down a bit, and makes him pay more attention to me. Hope this helps.